I really miss being in Hong Kong every street you go in Mong Kok there are desserts parlors in every corner waiting for you to stroll in. 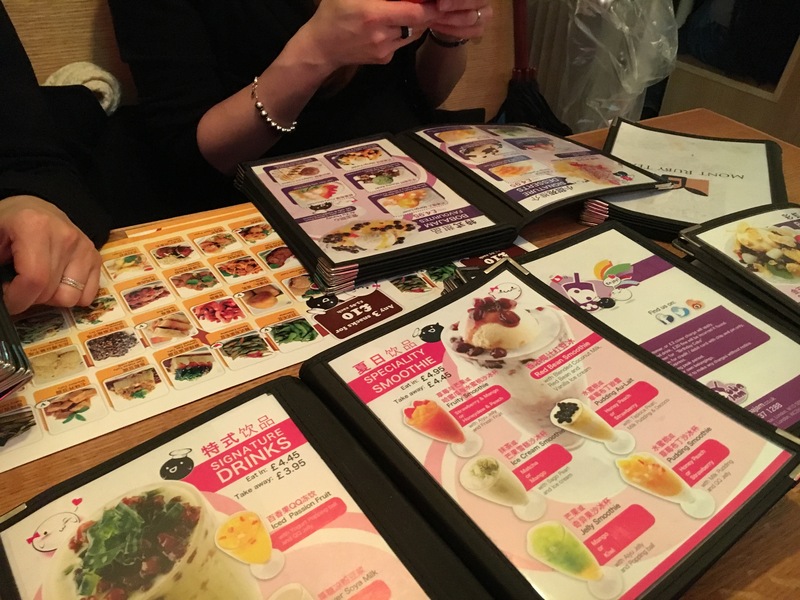 Mango pancakes, big bowls of sago and mango pudding, sweet dumplings in soup the list goes on. Now London is short of having places open in the evenings but there are a few spots in London to come for your cravings. Boba Jam is an extension to Candy Café in Chinatown, opened by the same owner with a much larger space. The purple shop can be spotted miles away along Shaftesbury Avenue, three floors of seats and even karaoke booths in the basement floor. 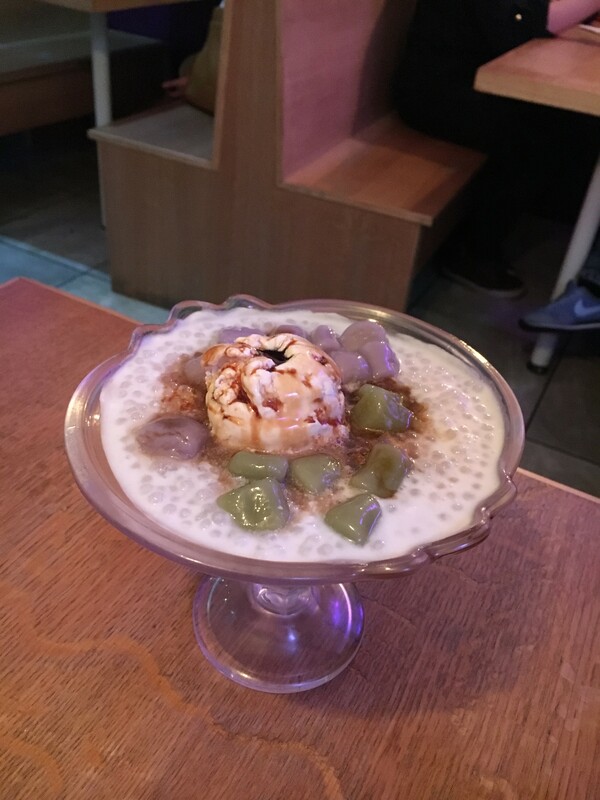 Boba Jam is more than just Taiwanese bubble tea, many different type of desserts and small Hong Kong style snacks can be found on the menu for 3 items for £10. 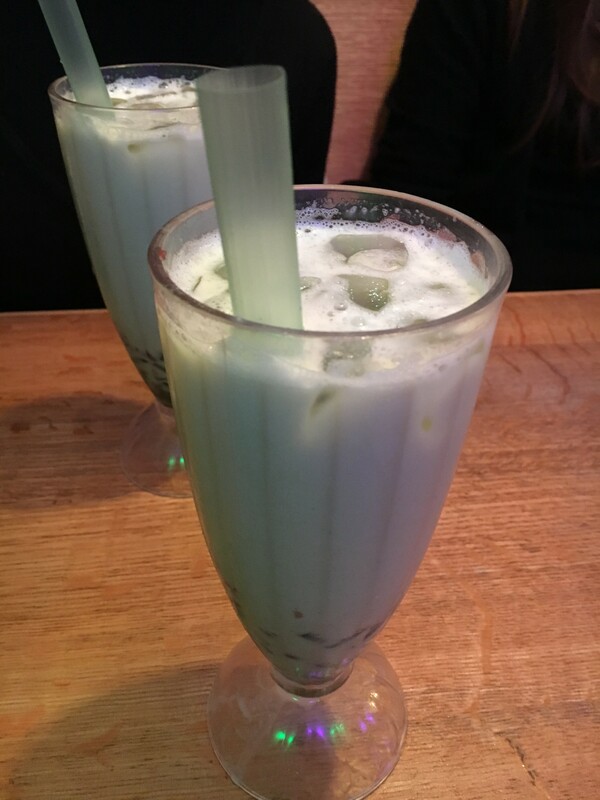 Boba Jam and Candy Café are my go to places for reliable tasty quality bubble teas that I can sit in and enjoy. 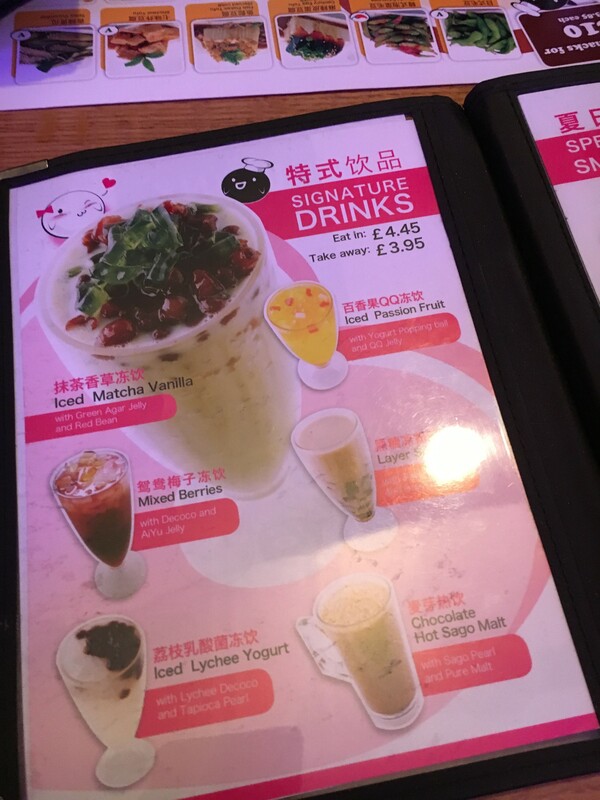 Love it or hate it, bubble tea is addictive with many variety of flavours that can be easily combined with the soft chewy tapioca balls or different flavoured balls that burst in your mouth and exotic flavour jellies. My usual order is the Matcha tea ice cream smoothie, thick and creamy with a strong bitter taste. This time I thought I go for ice matcha vanilla, red beans are softened and flavored but the drink itself wasn’t as great as the ice cream smoothie. 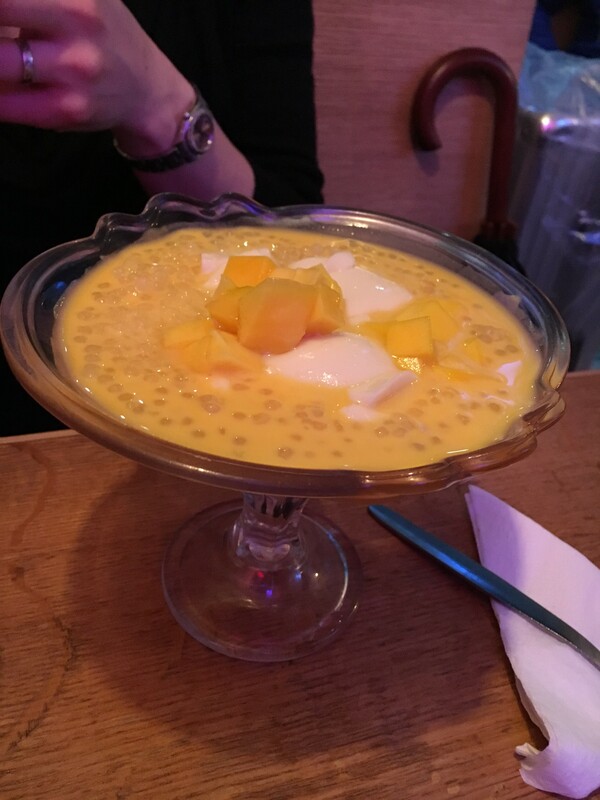 The friends got desserts, mango sago pearls, sago and dumplings. Boba Jam have decent size portions and prices aren’t too steep. Most desserts are around £5 mark drinks around £3-4. There’s even a buzzer on each table to call some to order or get the bill.